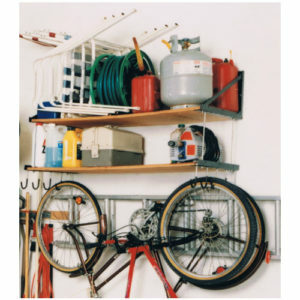 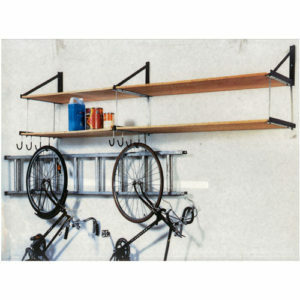 Our wall mounted garage work bench mounting system is ideal for areas where you need a little more counter space. 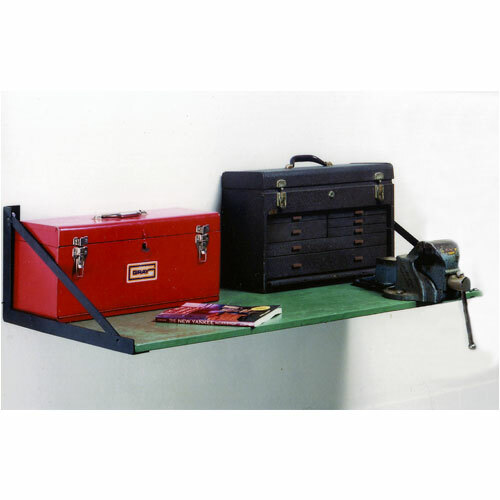 Designed to hold a lot of weight, this work bench allows you to transform a previously unused wall into a useful counter top. 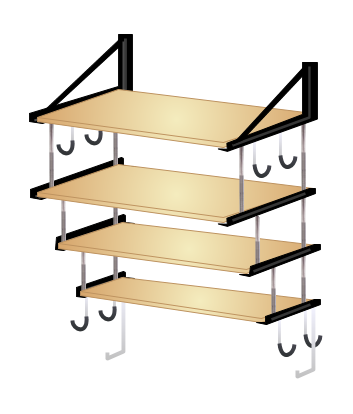 This system can be constructed to create either a work bench or a toy box storage shelf. 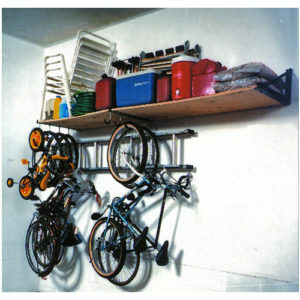 Mounting brackets can hold a maximum load weight of 300 pounds.